The 9090 is the only Miallegro blender we cover. 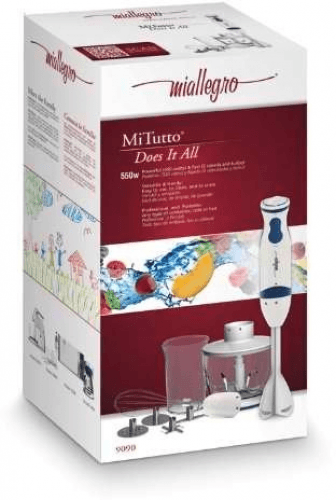 The Miallegro MiTutto 9090 is a 550-watt five-speed immersion hand blender set that comes with four interchangeable blades and a whisk attachment that allow you to whisk, aerate, blend, chop, and puree. 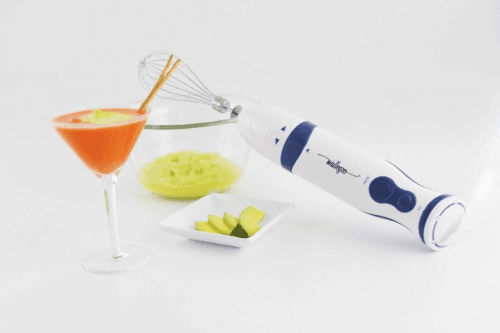 It also has a turbo button that lets you work with hard or frozen ingredients. 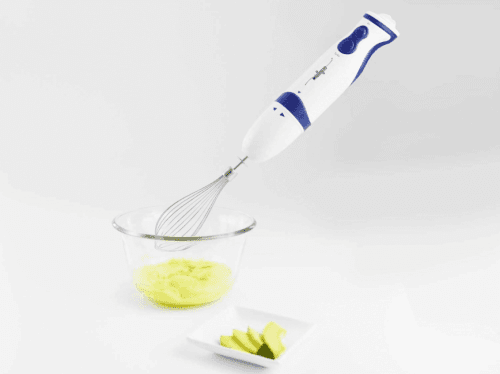 It has an ergonomic handle wrapped in silicone for what Miallegro promises is a secure grip. 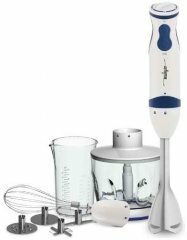 It also comes with a mini food processor for preparing sauces. It also includes a wall bracket for storage. Also called Miallegro MiTutto Immersion Hand 9090.